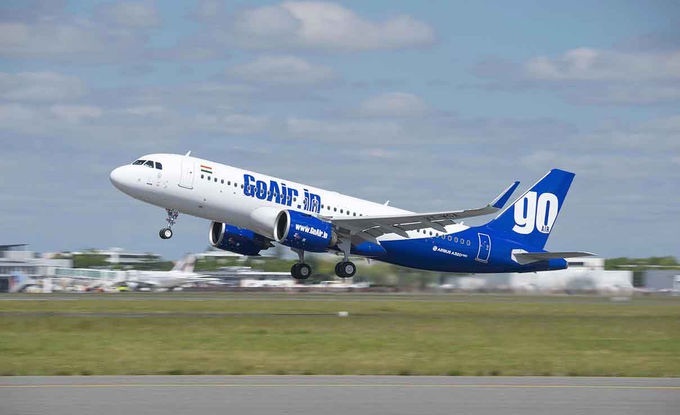 GoAir has penned a firm contract for 72 A320neo aircraft following its memorandum of understanding signed during the Farnborough International Airshow. The agreement doubles GoAir’s firm order book for the aircraft type to 144. GoAir took delivery of its first A320neo in June 2016 and now operates a fleet of twenty three aircraft. With the NEO induction, Go Air will expand its network and offer fliers better connectivity and continue its growth as one of India’s preferred low-cost airline. “The A320neo provides the latest technical innovations and unbeatable economics. We are happy to offer our passengers the most modern and comfortable cabins. This new order will further strengthen our network by adding more domestic and international routes in the years to come,” said GoAir managing director, Wolfgang Prock-Schauer. GoAir was the first airline to use A320neo in the Spaceflex configuration with 186 seats without compromising on passenger leg room and comfort. The A320neo Family incorporates latest technologies including new generation engines and Sharklet wing tip devices, which together deliver more than 15 per cent in fuel savings from day one and 20 per cent by 2020 with further cabin innovations.